The capabilities he refers to and has himself been embracing for years include all the latest tools and technologies available to improve and streamline communications with prospects and clients. These include iPads, Smartphones, SmartTVs and information literally everywhere…and of course the impact of the National Broadband Network which will see Video Communication happening in real time all the time. 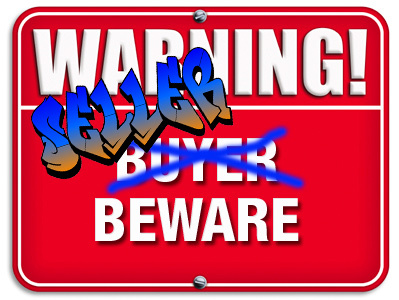 Real Estate is the classic Buyer Beware industry about to face the Seller Beware world. Failure to self regulate has seen Government intervention to continually protect buyers from dodgy Buyer Beware practices…but now with access to all the information needed Buyers now have more control and in many cases more access to information than the average agent…so it’s time for Seller Beware. Several years ago I was advising a classic old style Real Estate business in Adelaide (that’s 99% of them still today) on rebranding and on the overall business in terms of sales and marketing. Sadly they refused to accept that most of the things Anthony Toop talks about were worth considering. It has always intrigued me that the Real Estate industry has managed to have their clients pay for their brand marketing in big newspaper ads that are more about the seller than the product or the sign at the front of the property…and as their client why should I pay for a sign in my front yard for agents to promote themselves and hope they find a buyer walking down the street. Surely these days I could do that myself…in fact why can’t I handle the whole sales process…especially open inspections. Surely I know my property better than any Real Estate agent in a shiny suit with a shiny flash car parked in the driveway…but I can’t advertise on realestate.com.au…Yet. It was this refusal to accept the need for radical change by a variety of clients in 2009/10 that lead my daughter and business partner Nikki and I to publish the eBook “The Grumpy Old Managers Guide to Social Media Marketing +“. Sadly four years on it is still just as relevant to the people we wrote it for as it was then. “Nothing has structurally changed in real estate for the 36 years I have been in it. Why? Some say “because it never will!” After all, houses ARE such a big ticket item…such rare transaction events involving so much money and emotion. Real estate is the ultimate “people business”. Real estate will forever continue to require skilled negotiators, marketers, and professional advisers; selling a property is such a big deal. Over the years we have seen hundreds of operators in Financial Planning, Travel, Stock Broking, lately Finance Broking and right now Retail fail to restructure to meet new consumer demands and utilise technology effectively and as a result die…and die very quickly. Right now it’s time for Real Estate to face the future as it’s now here and take on what Seth Godin calls the hardwork. While most businesses think that working longer is working harder and setting up a website is working smarter it’s the hardwork of doing what others won’t that will lead to success in the Seller Beware world. In his blog Anthony Toop, whose business has won numerous national awards for Innovation, Communication and Marketing, believes radical operational change will face the industry this year and within 5 years the changes will be wholesale and widespread. It’s good to see that whilst most agents are still relying on brochure style websites and traditional media advertising their Industry Groups are providing the tools to embrace the future in terms of contracts that can be signed on an iPad. The good news for small business that does the hard work and learns to think like big business – leveraging the tools they use like Customer relationship systems and communications and technology in general – will always compete well with big business because they are more flexible and nimble in their ability to adapt and adjust. In the Buyer/Customer Centric world rigid systems, training programs, manuals etc are no longer of any value…as every person has different needs, expectations and knowledge. As such it is vital to have the tools and the information that is specificly relavant and timely to facilitate engagement and ongoing nurturing. And you can do the hardwork now to make the big changes and embrace technology etc but in the end it is now up to the Seller to know their stuff like never before. Something like 60% of the buying process has been undertaken by the Buyer before they contact the Seller. They have read websites, brochures, Googled you and checked what people say about you on LinkedIn etc. Seller Beware means knowing more about you and your products than the Buyer does so make sure you know what your website says, what your various online profiles say, what your advertising offers etc. We are in a Buyer Centric world today and as Anthony Toop is telling his colleagues and competition it’s time to embrace the hard work or face the inevitable as have other industries.